As a travel destination, few places in Europe can rival what Spain has to offer. Whether you enjoy the historical old world feeling or the warm sunny Mediterranean climate, Spain is your answer to the winter blues and is a perfect place to visit any time of year. The hardest part might be figuring out a way to squeeze it all in so you don’t feel like you’re missing out on anything! The answer of course, is you can’t see it all in just one trip – you really need to come back a few times. Most people will opt to start in the bustling metropolis of Barcelona because, well, it really is incredible on all fronts. Those looking to relax in the sun will head to one of the islands, like Ibiza, Majorca or the Canary Islands, and let all the worries of the mainland life drift away. Still more will head to Madrid, the capital, or road trip it between the smaller locales on the way to Grenada to recreate the true Spanish feeling. The truth is though, every place is part of what makes Spain wonderful and as lofty a goal as it may be, you really need to see them all. Still not sure about Spain? Take a look below to see just some of what makes this a great destination for all travellers. Museums and old castles can be inspiring but they can get a bit exhausting, particularly if you’ve been spending a lot of your trip doing that kind of thing. 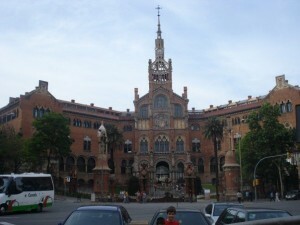 Thankfully, Spain makes history stand out as much of its history is living and still fully functional! Heading to Barcelona means you get to see the Cataln culture in its modern form set against a very traditional backdrop – concerts held in old market squares at midnight, a hospital that looks like a castle and their most famous church, Sagrada Familia, still under construction after over 100 years – and that’s just Barcelona! As much as Spain might seem to be one unified nation, keep in mind it is the amalgam of many different groups of people that still see themselves as distinct from Spain as a whole – the result is a different country everywhere you go! Whether it’s the capital of Madrid where the power of the Spanish empire still resides; the Basque region in the north along France; or the islands that remained independent kingdoms until only a few centuries ago, they each bring something special to Spain that makes it a one of a kind tourist destination you aren’t soon to forget. Every August Edinburgh comes ablaze with its yearly festival of the arts. Though the main component of the festival is a fringe theater event there is much more than that going on in the city. In a shout out to the arts, the fringe is accompanied by a comedy festival, a literary festival, a film festival all at the same time. Despite the perpetual gloomy skies of the Scottish capital, Edinburgh becomes a vibrant place for this month. Here are a few reasons you should go to the Edinburgh festival at least once. Whatever the art form that you love there will be plenty of opportunity to explore it. The festival also is the ideal locale in which to explore different art types that you previously haven’t been strongly acquainted with. Now is the chance to see Irving Welsh give a book reading, or watch famous actors and directors discuss their newest films. Art in all of its pedigrees is here and it on you to explore it as thoroughly as you can. 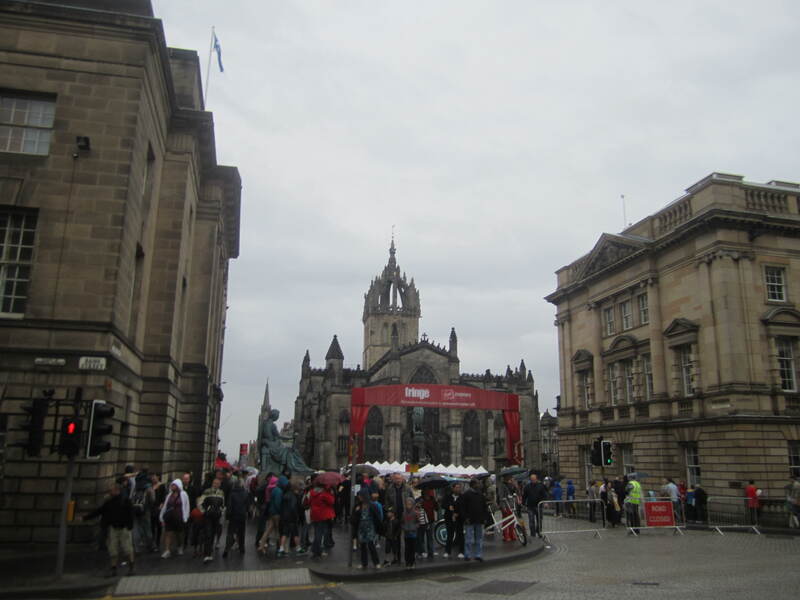 During the festival Edinburgh extends it already thriving night life by 2 hours. This means pubs that would ordinarily stop at 11 pm are now open till 1 am and bars and night clubs go longer also. The result is that you have a whole slew of culture lovers getting drunker for longer together. Many people rave about the full bars during the Festival. The extended bar times and the mayhem that ensues because of this is yet another solid reason to be at the Edinburgh festival come August… even if art is only sort of your thing. The diversity of different arts represented brings a wonderfully eclectic mixture of art lovers into the city which provides a great chance to meet some really interesting artistic people. As comic con in San Diego brings slews of comic and pop culture lovers to San Diego the Edinburgh festival brings many an art lover to Edinburgh. The increased crowds bring a dynamic quality to the streets that can be easily seen on a walk up Edinburgh’s famed Royal Mile, on Princess Street, or while wandering through the meadows. Be sure to say hi to the person in the pub chair next to you and meet an interesting person. Rome is one of the world’s most fantastic cities for art, culture, history and cuisine, but it seems like Milan gets all the fashion attention in Italy. Well, if you find yourself in Rome, rest assured that there is plenty of outstanding shopping for the fashion-forward traveller. Follow this guide for the best of high fashion in Rome. 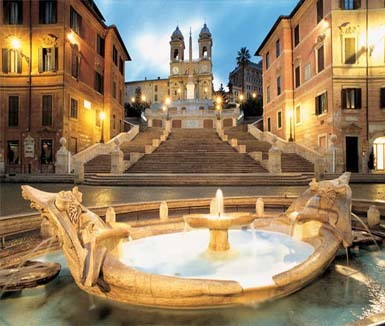 The Spanish Steps: In Rome, much of the luxury designer shopping is arranged in a three pronged formation called the Trident (made up of the streets Via del Corso, Via del Babuino and Via Ripetta – all of which lead to the Piazza del Popolo.) For the high-fashion-minded shopper, it’s straight to Via del Babuina where you will find the flagship stores of many of the world’s top brands. Check out the little connecting side streets to peruse independent shops that carry high quality merchandise and are famous for their window displays. You may be dodging tourists, but this part of town is definitely ground zero for the world’s finest fashion. Piazza Navona and the Pantheon: This part of town is familiar to tourists because the streets are lined with towering monuments of the ancient world and Renaissance churches, but between these cultural tourist magnets the intrepid shopper can find unique small boutique shops that carry an eclectic array of fashions and accessories next to vintage shops, antiques stores and book sellers. Don’t miss SBU, Rome’s hippest jeans shop on Via di San Pantaleo. Campo de’ Fiori: This bustling square hosts a fresh produce market every morning and in the evenings the nightlife is hopping. For shoppers this district offers small craft shops tucked into narrow Medieval streets – browse the furniture designers, antique shops, ceramics stores, and quirky housewares. You will also find hidden gems like Borini, a women’s shoe store that offers a huge range of high quality leather shoes for unthinkable discounts (just don’t be put off by its unassuming appearance). Fashion Week: Even though it’s not as fashion-famous as Milan, Rome still has a pretty influential bi-annual fashion week called Alta Moda Alta Roma. The old and well-established (and some new) fashion houses of Italy take this as an opportunity to connect with international talent and opportunities while buyers, celebrities, journalists and socialites look on for the next season’s trends. Even if you can’t get a seat by the runway for a designer show, the city will be alive with fashion, designers and taste-makers, so go style hunting around the city and see which style icons and avant garde fashions you can find. Calling all daredevils: are you looking for a truly death-defying winter challenge? Have you been thirsting for a slope that offers a real challenge, potential for dismemberment and bragging rights to match? Well this list is for you – the top four most daring ski resorts. This is no snow bunny glade; these are triple black diamond, expert-only, world famous slopes that offer the adrenalin-rush of near-death and the comfort of a nearby chalet. • Aspen Snowmass Ski Resort, CO: Aspen is world-renowned for its glamorous chalets and celebrity sightings, but Snowmass is strictly snow-business. Thirty-two percent of the ninety-one runs at this location are classified as expert. Over half of all the slopes at this resort at difficult or most difficult. And if you are looking for flips and jumps, Snowmass just added a twenty-two foot superpipe to its roster of hair-raising attractions. • Brackenridge Ski Resort, CO: Also in the Colorado Rockies, Breckenridge is one of America’s most popular ski resorts, possibly for the frequent celebrity sightings – over 1.6 million skiers during the 2010-2011 season! This resort is also popular with expert skiers because over half of its runs are classified as expert. There are plenty of double black diamond glades, bowls and backcountry slopes and a terrain park designed for extreme ski and snowboarding. Breck is also home to the highest charlift in North America. 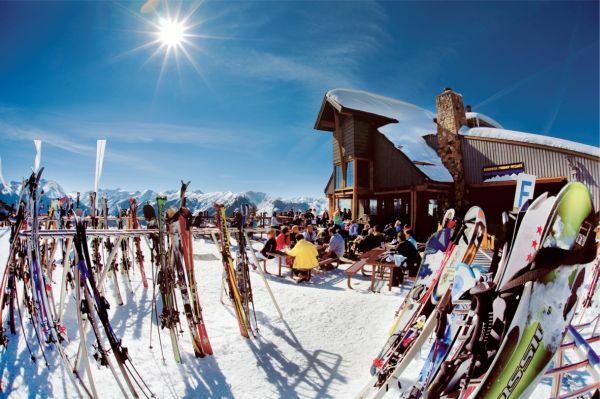 • Jackson Hole Mountain Resort, WY: This resort is renowned for its accessibility (it has its own airport) and the full access it offers to visitors – Jackson Hole prides itself on being “100% open”, the whole mountain. Which means true, diehard, daredevil skiers can, with the permission of Jackson Hole snow patrol, ride one or both of the mountain’s extreme couloirs: S & S Couloir and Corbet’s Couloir. Corbet’s starts out as a twenty foot drop off a cliff face. Work those edges and try to hang on. Surviving the opening pitch is the worst of it, however, and afterwards you can ride the forty degree slope with greater ease. S & S is not so easily tamed. This baby opens with a thirty foot drop into a rocky chasm and is rarely open due to unsafe conditions. If you manage to get your shot, be sure you’ve made friends with the ski patrollers who might be sledding you down to safety, should this insane couloir take you down. • Harikiri, Mayrhofen, Austria: This list has been a little US-heavy, but only because many of Europe’s most terrifying ski hills are not attached to resorts, and thus could not be included. However, Harikiri (named for the Japanese suicide ritual) is the steepest groomed slope in the world – snow machines are suspended on cables that keep them on the thirty-eight degree slope. Grab the gondola at the Sport Hotel Strass and get ready for the ride of your life.